Alaska is home to some of the best skiing in the world. Alaska is famous for a reason, the mountains and views are astonishing. The snow tends to pile up in copious amounts. Terrain options vary from low angle runs suited for Intermediate skiers/riders to the big, steep faces for the true experts. Girdwood (just a 45 minute drive from Anchorage International Airport) is the epicenter in the south central region with access to many incredible options for skiing. 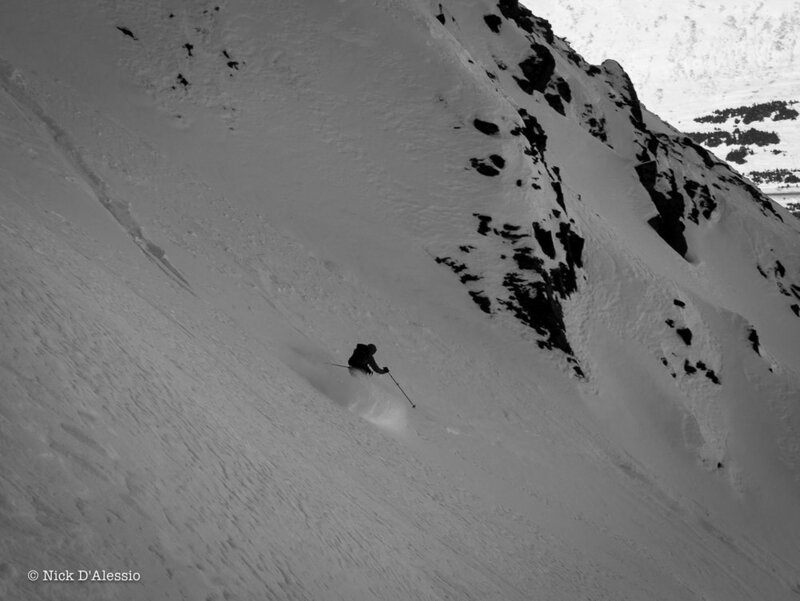 Turnagain Pass is 25 minutes away for world-class road accessed backcountry skiing and snowboarding. Another 20 minutes down the road the Summit Lake area offers beautiful terrain. The Anchorage Chugach front range is 45 minutes from Girdwood. North of Anchorage the Hatcher Pass area of the Talkeetna Mountains offers a totally different snowpack and weather conditions. And a one day drive away is Valdez with Thompson Pass. These options allow us to take advantage of the best snow and avalanche conditions around. In addition, directly in Girdwood you have Alyeska Resort when you feel like riding a chair lift. Guided human powered backcountry skiing and split-board snowboarding. Base yourself in Girdwood and we take day trips to the mountains. Turnagain Pass is the "go to" venue. If conditions are expected to be preferable elsewhere we may make a last minute adjustment further to the Summit Lake area or north to Hatcher Pass. * 1-7 day bookings most common. November - May, (into June conditions dependent). * See booking page for prices.